Kenneth Charles "K.C." 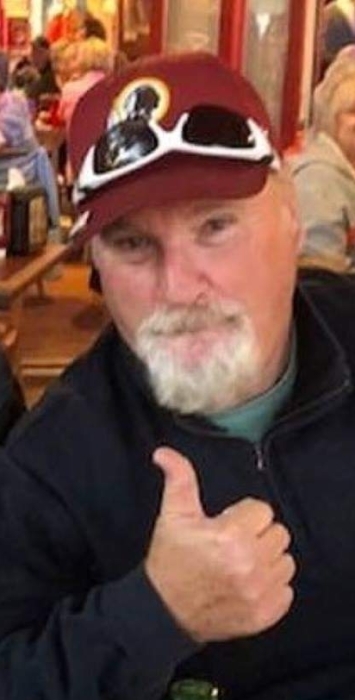 Hatton, 68, formerly of Alexandria Va., Passed away March 19, 2019 in Murrells Inlet, South Carolina. He is survived by his sons, Cayman, Trevor, K.C. ; spouse Leslie; his sister Suzie Vivyan and brother Billy Hatton. Along with his mother, he was preceded in death by his daughter Kelly and two sisters, Brenda Hinkley and Delores Hatton. K.C. was a member of the U.S. Army as a young man and then went on to become a highly decorated Police Officer and Vice Narcotics Detective with the Alexandria City Police Department for 31 years. K.C. always had a passion for sports. You could find him out on the golf course or enjoying a game of football, baseball and basketball. He was perhaps the most enthusiastic Washington Redskins fan of all time and anyone who knew him will know how he felt about the Cowboys. He was also an dog lover, and could be seen walking around the neighborhood every day with his best buddy Peanut. A Celebration of his life will be held at 2:00pm on Friday, April 5th at Burroughs Funeral Home, 3558 Old Kings Highway, Murrells Inlet, SC 29576. A second gathering celebrating him and his career as a police officer will be held at 1:00pm Friday, April 12 at the Alexandria Police Association Hall, 3010 Colvin Street, Alexandria, VA 22314. Burroughs Funeral Home and Cremation Services of Murrells Inlet is assisting the family with arrangements.